PostNL is going to provide electric bikes to all its 18,000 postmen and women as part of a package to tackle the shrinking postal market, the AD reported on Wednesday. Some 2.5 million packages, letters and cards are now being delivered annually, half the total 10 years ago. PostNL expects this to be halved again by 2025. Earlier try-outs in Amsterdam, Den Haag and Utrecht have shown the bikes do help postal workers cover larger areas. This will make the service more flexible and postal workers will be able work longer delivery shifts, PostNL said. Among the more controversial measures to combat the dwindling market are plans to fully automate the sorting process. According to the FNV trade union automation will put 500 sorting jobs on the line and the union has called for strike action on September 20. 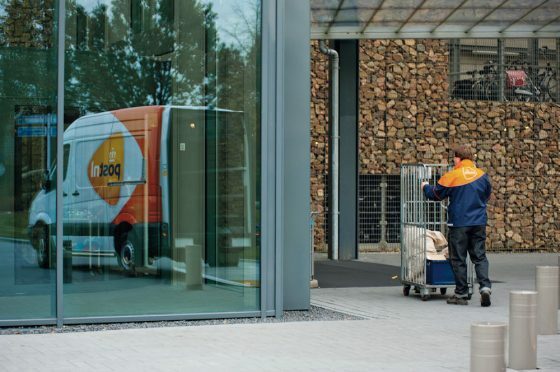 PostNL have said the number of jobs under threat is ‘not as high as that’, the AD said. Postal workers have also protested against the introduction of a vest with different sized pockets which they say is heavy and clumsy. According to PostNL the vest is optional and postal workers can opt for a normal bag.